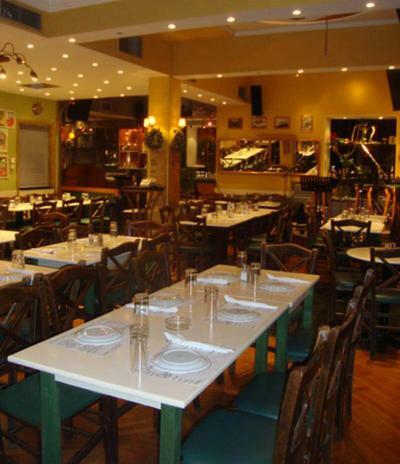 Zithos Meze tavern located in Halandri, at Kolokotroni 8 Street, offers Greek cuisine. This beer house was created in 1994 and its name means beer. The combination of a pub and a restaurant creates a unique atmosphere. The environment is hospitable, traditional and welcoming. The menu includes cold and hot appetizers, a wide variety of salads with fresh ingredients and main dish recipes in a wide range that fulfil all tastes. Try homemade burgers and special smoked pork. Zithos Meze is authentic musical tavern with many surprises that make the evenings special dining experiences. Zithos Meze has a great culinary history served directly to your plate.